I was called upon to write something for a concert whose theme was all about magic, so naturally Mozart's opera "The Magic Flute" had to be represented. Instead of arranging just the overture or creating a medley of famous arias, I tried to craft this piece so it would stand on its own as an organic whole. 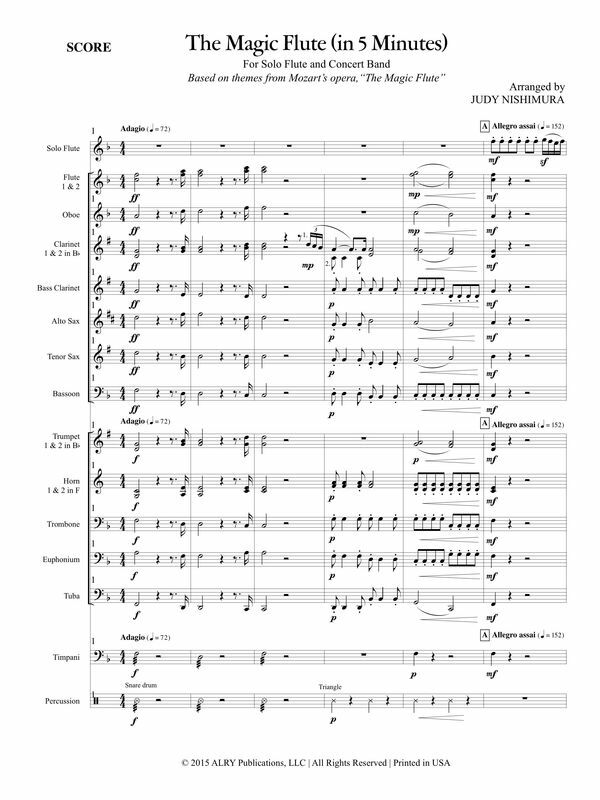 High School bands, community bands or college wind ensembles who are looking for a short but highly accessible piece to show off a talented flutist should take a look at this new arrangement. Click ﻿here for the Flute and Piano﻿ version of this work.